During all the month of February, in conjunction with the celebrations of Valentine's Day, protector of lovers and the city of Terni, the G.R.I. 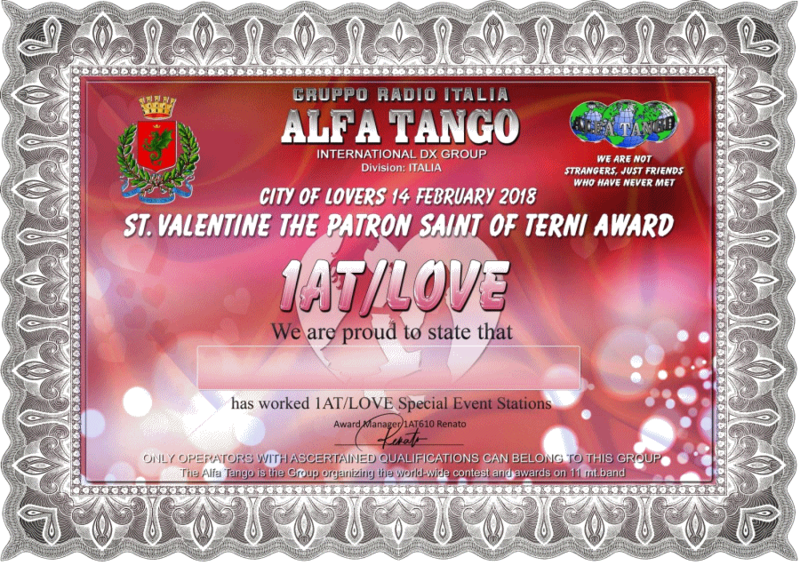 ALFA TANGO organizes the 1st AWARD CITY OF THE LOVERS". A S.E.S. station will be on the air with the special call of 1AT/LOVE, and will operate in the SSB, CW, PSK31 and RTTY45 modes. 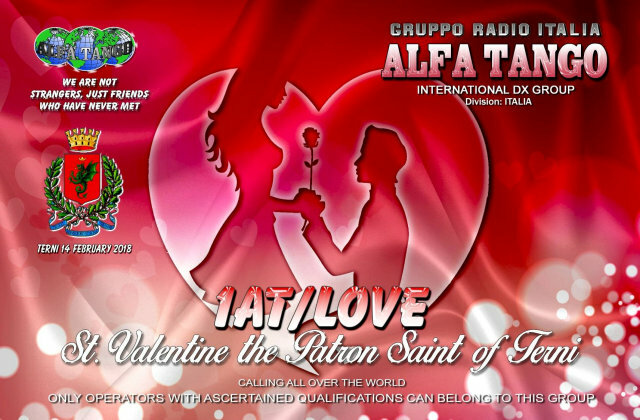 The purpose of this event is to join the hobby of the radio with the special yearly celebration at the Basilica of San Valentino in Terni, with promises of marriage and weddings celebration, around the tunnel of love located near the suggestive Marmore waterfall near Terni. 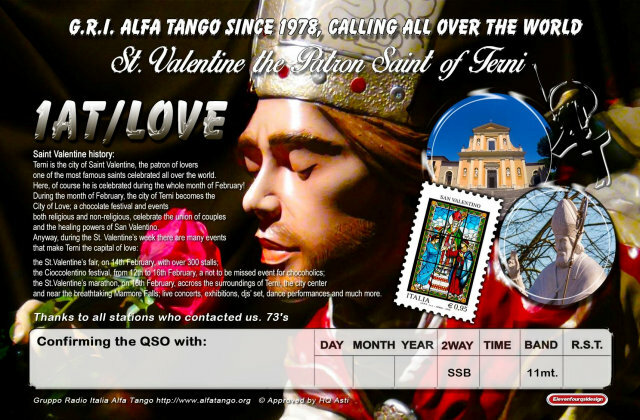 It will also be available the AWARD CITY OF THE LOVERS (A4 format) by free download from a dedicated site only if you reach at least a minimum of six (6) QSO in voice or six (6) QSO in mixed modes (phone, CW, RTTY and PSK31). Two modes are allowed: PHONE only and MIXED (PHONE, CW, PSK31 RTTY). 11 Meters, with frequency portion between .500 and .600 interdicted.